Typically, people who work too much have lost touch with the child within. They have forgotten how to have fun. 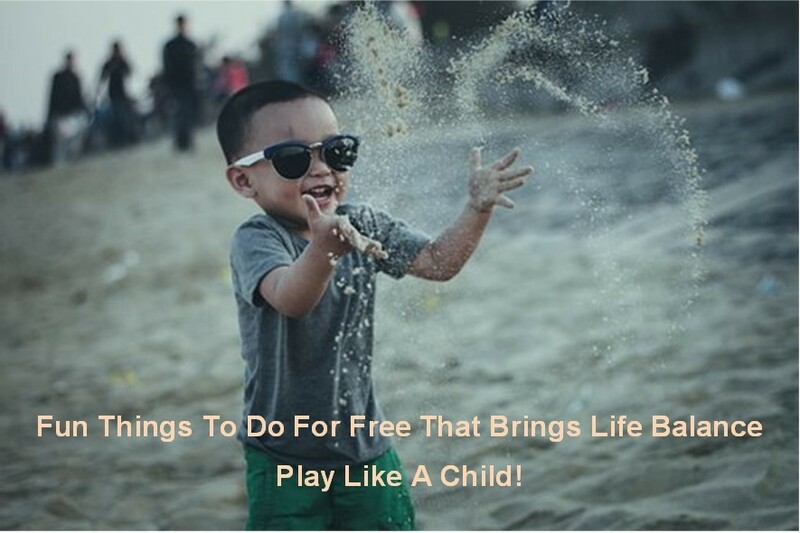 There are far too many fun things to do for little money and fun things to do for free that will bring life balance to a hard worker. I’m sure you are familiar with the bible verse I Corinthians 13:11 which states “ When I was a child, I spake like a child, I understood as a child, I thought as a child: but when I became a man, I put away those childish things.” It’s unbelievable to think of the different interpretations of this verse that shaped the perception of fun for many people; fun was seen as a childish thing. In many cases, this verse was taken to an extreme, and people threw the baby out with the bath water. Promoting life balance for those who tend to work too much is like getting the baby back (fun). If you ask someone who have work life imbalance, they will secretly profess that they are too busy, too serious, and that their life is boring without work. Having fun is not a priority and they even feel justified because of the verse above. But that is a mistake to think fun is related only to childish behavior. 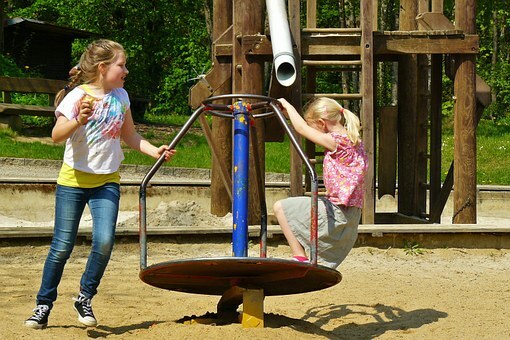 It is equally wrong to think all work and little play is a balanced life. If you have been in that mode of “all work” for quite some time, you only need to tweak your focus slightly to make a huge difference. To add pizazz in your life, you really have to think like a child. Think back to your childhood. Go back to the feeling when having fun was the expectation. Yes, some of you may have worked excessively even as a young child, but even you knew at that age that that was out of the norm and undesirable. You were keenly aware that having fun was natural. Well, the same applies as an adult. The intent of adulthood and putting away childish things was not to get rid of fun. We definitely should be creating fun experiences at every age. Those great fun times in childhood sets the bar for the continual fun memories created at a later age. I’ve taken the guess work out for you and provided you a list of what to do to have good ol’ child-like fun. I prepared a list of 25 items below to wake up the child within that is craving for fun in your life. These are easy to do and require little money. I hope you make a commitment to try many of these very simple things. Be adventurous and do the most silly ones first; the ones that will take you farthest out of your comfort zone. In doing so, I guarantee your life balance will shift more favorable allowing you to integrate a lifestyle of fun into your busy schedule. You can do these activities alone, but these are great relationship bonding activities. Plan these with your best friend, a sibling, your spouse, one of your children, or even a new associate. Above all, have child-like fun! Draw ground art with sidewalk chalk. Eat el fresco on a blanket at a park. Write a message on a balloon and release it. Go play with animals at a shelter. Blow bubbles on your front porch. Sing loud in the car with windows down. Watch a marathon of movies. Plan a night of star gazing. Take selfies and create a story around the pictures. Create a hashtag and post on Instagram. Create a time capsule and bury it. Play foosball, air hockey, or pool especially if you are not good at it. Buy ice cream or snowball from an ice cream truck. Take a line dance class. This is something I have been working on: Getting back to the simple things in life. Remembering how to have fun. Being happy. Your post has helped with that as well. Just be a kid. I am working on not giving a crap what other people think of me anymore and that helps release a lot of tension. More people should do this and more people should just RELAX!! Brent, you are on the right track. Incorporating fun is a simple answer to relieving stress and tension. Sometimes, we get caught up in the grind of life and just have to be reminded to pause and exhale. What a great post! Such a great reminder, it’s so easy to overlook fun as an adult and see it as a ‘waste of time’, but fun equates to happiness, and we can never have too much happiness! I love the camping in the backyard and time capsule ideas – we may just combine the two and do both (maybe throw in some skipping and bubble blowing!). Do you think it would be beneficial to schedule fun in on a regular basis? This post has me thinking about making Saturdays ‘fundays’. Thanks for sharing! Angela, I absolutely think scheduling fun is a great idea because many people tend to commit to scheduled events more than unplanned tasks. It is nice to have these ideas handy if you ever feel spontaneous. I think many people try to think of grand things to do and overlook the simple things that will bring equal or even more joy. I know you will thoroughly enjoy the camping in the back yard. We have used camping in our backyard for overflow sleeping when large crowds come to visit. It is extremely fun and far less than hotel rooms. Awesome post and great list of activities. It is certainly important to keep balance in your life and summoning your inner child is a great way to do it. I appreciate you taking the time to write this. Thanks for taking time to read this post and reply. I hope you will execute one of the activities that will be new for you and share with others. Hi Claudette, another great post! Thanks! When I was reading it I was reminded of the last few seasons that I spent in Ibiza, Spain. The place is literally a playground for adults and brings out that fun, weird, playful being within! You don’t have to take life too seriously, we are meant to enjoy! Thanks for reminding us all about this! P.S love the time capsule idea! This is a lovely article – thank you for the fun ideas! I agree with you – it is important to stay in touch with our inner child and to find joyful, happy things to do. Agreed! 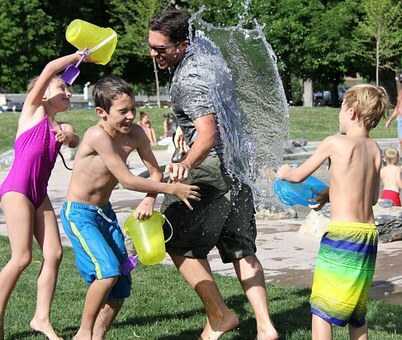 Kids enjoy most of these activities without conditions, meaning they freely get absorbed in the activity. Adults love these activities as well when they do not judge themselves for taking time to do them. Fun is ageless. Thank you for reminding me that I need to have fun in my life. I do work too much and I think about it all the time. It has been affecting my sleep lately as I have a hard time shutting my brain off. I recently have started meditating which I think is helping. Diane, yes meditation is wonderful! That is a great way to unwind at night, start your day, or even include at a break during the day. Continue to meditate and add other “me” moments throughout your day. No matter how small, those moments will give you even more energy to tackle all that’s on your plate. You will find that work will be easier when you have more fun in your life. Thanks for commenting.